This week more than most I realize how much of my thinking comes from books, how the words of others stir my heart, turn the rusty gears of my mind, bring tears to my eyes. This week more than most I have lived vicariously through the eyes of women whose books I have read, whose visions I have shared, whose imparted wisdom I've taken to heart. This week I've read a collection of stories by a woman I consider writing royalty for her ability to distill everyday experience and emotion into it's purest essence. A woman who has written almost countless such stories in her 80-some years, stories that span now two generations, encompassing all the great change that implies, but remaining true and relevant to human experience. And I've read a book by a (much younger) woman who has been for some years on the trail of a dream, one that is rock-solid in some respects, but also made of gossamer wings, lending itself to flights of fancy. First, Dear Life, Alice Munro's new collection of stories. It is not a paean to the loveliness of life. No. Every story in this collection (whose emphasis is on the decisions made by ordinary characters and they ways one small moment can alter a life forever) has a rather stern personality. Ms. Munro is not overly affectionate with her characters and their situations. This is just how it is, she tells us, this dear life we all cling to. With the fatalism common to her generation, she knows we must accept the consequences of our actions and the fickle hand of fate. We must simply play the cards that we've been dealt. That is not such a bad thing, really. Now we all expect so much, feel entitled to so much, that occasionally it seems right to have the reins pulled in just a bit. 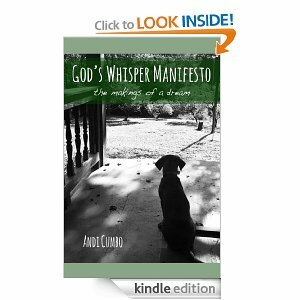 Then, after reading Dear Life, I fell into the comforting arms of my friend Andi Cumbo's manifesto about God's Whisper, as she has christened her farmhouse and its surrounding acres (God's Whisper Manifesto, the Makings of a Dream). Andi has been incubating this dream for a long time, and I've watched vicariously through her blog and Facebook posts as she has made it come true, assisted by grace from God and her own true grit. This small book lists ten principles for life at God's Whisper farm, but of course they are really principles for life anywhere. "Love people first and hard," Andi says. "Live with intention but without pretention." "Art matters, play is good, rest is treasured." Simple precepts, and pure. 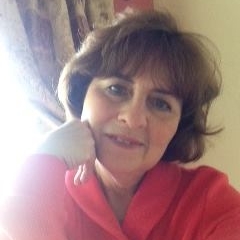 Not easy to accomplish given the complexity of this Dear Life we all live- as Munro writes about with such aching understanding in these new stories, and in the hundreds of stories she's written during her lifetime. Story is paramount. That is Principle Number 8 at God's Whisper. "Here at God's Whisper, we know that our stories are our very lives. That we thrive and grow and fight and love because of the stories we know, the ones we live, and the ones we want to create." This week, more than most, I have been blessed by stories and the vision of two extraordinary women who told them.